Jessie stays VERY busy at the office, handling over 400 phone calls a day! She submits payroll for our associates, and assists our staffing consultants with various needs. She has an Associates degree as a Paralegal from Volunteer State Community College here in Middle TN! Leslie holds a B.S. as well as an M.A. degree from East Carolina University. She has a wide range of experience, and has taught school as well as managed support staff over the years! 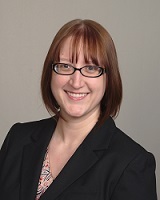 Jessica is our go-to person for Administrative Clients and Associates. She just started with us in June 2018! Erin Keller is an Employment Specialist, focusing on the Hospitality and Events segment of our business. Once you meet her, you will see why her energy, enthusiasm, and service-minded attitude is a great addition to the Team. We are so grateful to have Dana Hayden apart of our team! She is an Employment Specialist who loves to help others succeed. Cassie is great at connecting our clients with the right associates. She is great at asking questions to make sure both parties are successful and build a meaningful working relationship. When you meet her, you'll know why she is on our team! Casey grew up in Mt. Juliet, TN. She attended Trevecca Nazarene University where she played on the women's basketball team for 4 years and obtained a B.B.A in Accounting. Casey joined the Express Employment Professionals Team in August 2011 as a Business Development Specialist and was promoted to Sales Manager in 2013! Casey is also a cowgirl in her spare time and takes part in team roping. Jody is in charge of payroll for our clients and associates. She also handles some of our office management responsibilities. She is a huge Nashville Predators fan and loves to dance. Rob is one of our friendly Front Office Coordinators. When you call our office, you may hear his greeting. He truly cares about our clients as well as associates and he always puts his best foot forward to help fulfill their needs. He spends his free time helping families in other countries such as Africa. What ever you need, he's your guy and we are glad to have him on the team. 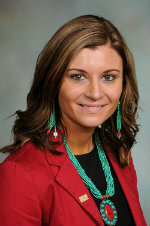 Let us introduce Miranda Yawn to the Express Team as a new Front Office Coordinator and Administrative Recruiter! She is an emerging professional, Miranda started as an Express Associate, and earned her way to full-time employment in our office!! Energetic, helpful and service-oriented, she is an excellent addition to our Team!